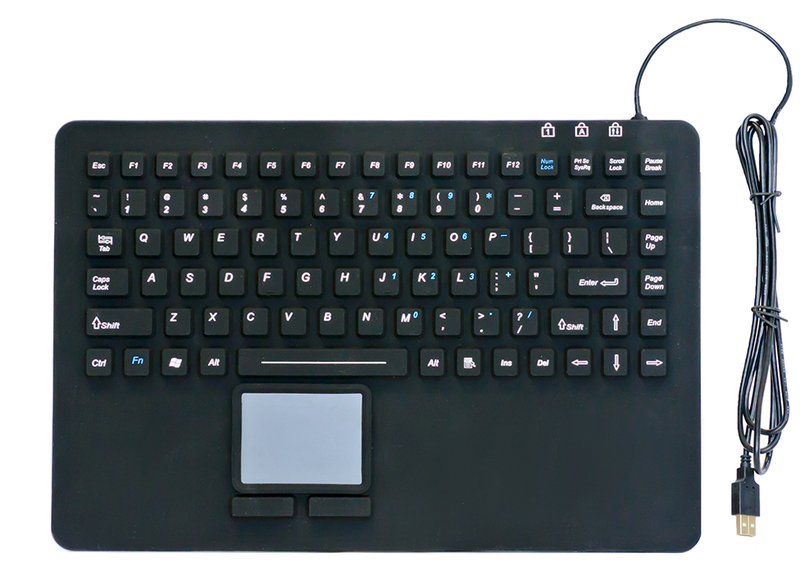 The KBSI-87-TP is a fully sealed silicone computer keyboard, features a unique combination of durability and soft, comfortable feel. The silicon-based material is impervious to most anything including water, coffee and cleaning solutions. From the classroom to the factory floor, the KBSI-87-TP is designed for durability and harsh environments.